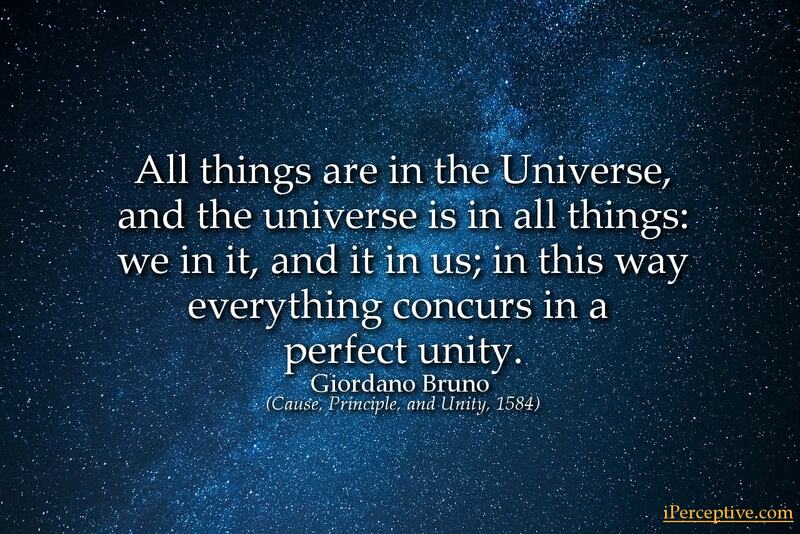 The Universe is one, infinite, immobile. There is in the universe neither center nor circumference. 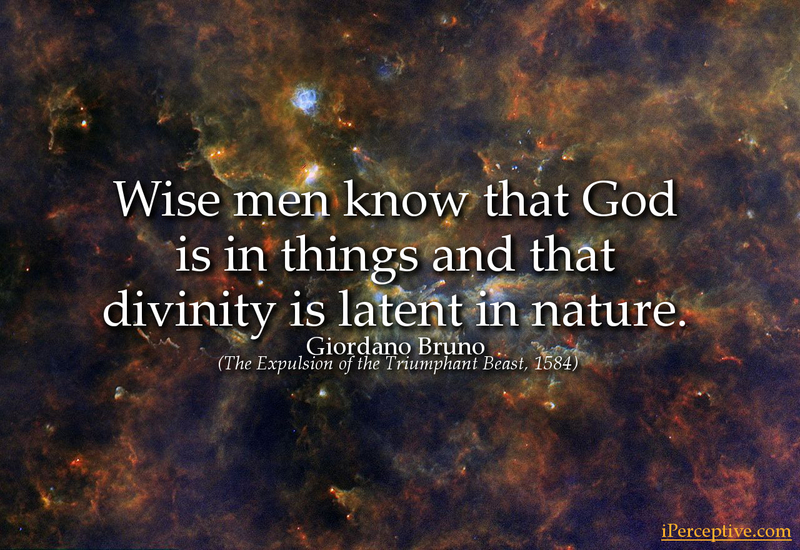 Wise men know that God is in things and that divinity is latent in nature. Divinity reveals herself in all things... everything has Divinity latent within itself. Nothing of the eternal incorporeal substances ever changes or deforms.. therefore it cannot be said to die. The wise soul feareth not death; rather she sometimes striveth for death, she goeth beyond to meet her. Because the soul always desires to love more than it loves and to see more than it sees. Moreover the soul desires that this species which the sight has engendered in it should not become attenuated, enfeebled, or lost. There is a single general space, a single vast immensity which we may freely call void: in it are unnumerable globes like this on which we live and grow, this space we declare to be infinite, since neither reason, convenience, sense-perception nor nature assign to it a limit. In it are an infinity of worlds of the same kind as our own. 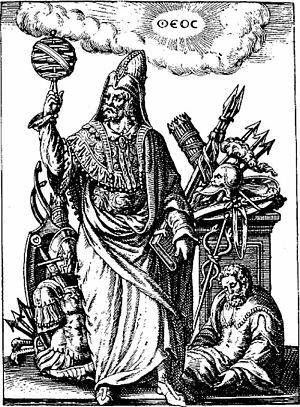 There is no absolute up or down, as Aristotle taught; no absolute position in space; but the position of a body is relative to that of other bodies. Everywhere there is incessant relative change in position throughout the universe, and the observer is always at the center of things. The beginning, middle, and end of the birth, growth, and perfection of whatever we behold is from contraries, by contraries, and to contraries; and whatever contrarity is, there is action and reaction, there is motion, diversity, multitude, and order, there are degrees, succession and vicissitude. Here am I miserable, deprived of a heart, abandoned by my thoughts, bereft of the hope I had entirely placed in them. Nothing else remains but the sense of my poverty, unhappiness, and wretchedness. And what am I not deprived of this sense too? Why does death not come to my aid, now that I am deprived of life? For what purpose are my natural faculties deprived of their power? In this manner, although the soul at first launches complaints against its heart and thoughts, it now desires to be raised with them and manifestly deplores the union and familiarity contracted with corporeal matter. Leave me then, it cries, corporeal life, and do not trouble me, so that I may reascend to my native home, to my sun. 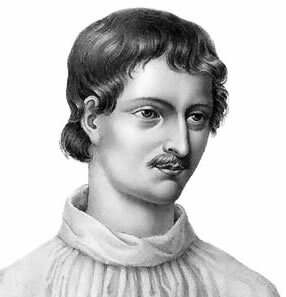 Here the sorrowing soul, not in real discontent, but in the passion of a certain amorous martyrdom, speaks as though addressing its discourse to those who are similarly impassioned. It has dismissed its heart, as it were, against its will, for the heart directs its course toward an impossible goal, extends itself where it cannot reach and would embrace what it cannot grasp; and the more the heart is estranged from the soul, the more does it enkindle itself toward the infinite. This entire globe, this star, not being subject to death, and dissolution and annihilation being impossible anywhere in Nature, from time to time renews itself by changing and altering all its parts. There is no absolute up or down, as Aristotle taught; no absolute position in space; but the position of a body is relative to that of other bodies. Everywhere there is incessant relative change in position throughout the universe, and the observer is always at the center of things. In exercising its faculty, then, the mind can desire an object only to the extent that it is near, proximate, known and familiar to it. Thus a pig cannot wish to be a man nor desire anything appropriate to the appetite of a man. He prefers to wallow in the mud rather than in a bed of fine linen; he would sooner mate with a sow than with the most beautiful woman nature produces, because the desire conforms to the nature of the species. This is a beauty which comes and goes, is born and dies, blooms and decays; and is eternally beautiful for so very short a moment and within itself truly and lastingly contains a cargo, a store-house, an emporium, a market of all the filth, toxins and poisons which our step-mother nature is able to produce; who having collected that seed of which she makes use, often recompenses us by a stench, by repentance, by melancholy, by languor, by a pain in the head, by a sense of undoing, by many other calamities which are evident to everyone, so that one suffers bitterly, where formerly he suffered only a little. 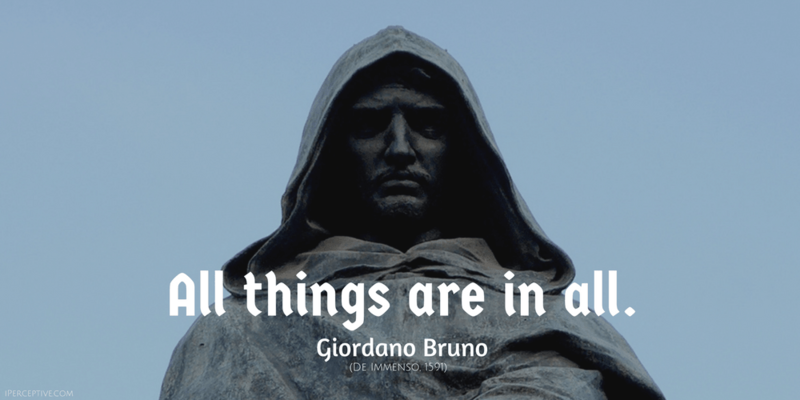 Giordano Bruno was an Italian-Dominican philosopher, friar and scientist. He is best known for his various cosmological theories and for his unfortunate fate at the hands of the Roman Inquisition.